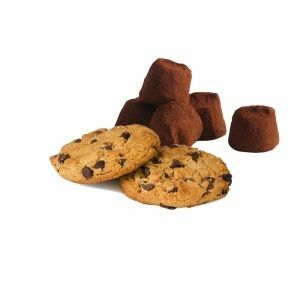 Recipes for Chocolate Cookies both crunchy and soft base Mathez truffles! Preheat oven to 180 ° C, put parchment paper on your plate. Beat butter and sugar together until fluffy and smooth. Put the egg and vanilla and beat again until smooth. Sift flour, salt and cocoa powder in the bowl and mix well, then add the Mathez truffles and walnuts. 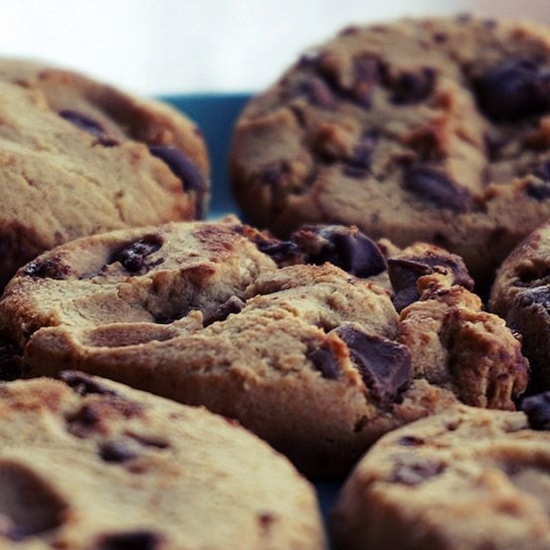 Using a spoon made small piles of dough on the baking sheets, making sure to leave enough space for not only two cookies do not touch. Bake for 10-12 minutes, leave to cool on trays for five minutes, then cool completely on wire rack before serving.